Incorporating recycled materials and ENERGY STAR® qualified, the GENII imageRUNNER ADVANCE C5255 can consume as little as 0.8W in sleep mode and yet remain highly productive with consistent quality output. As well as outstanding environmental credentials the C5255 also sports some of the most advanced integration features available in its class including security, auditing, configuration and collaboration features. 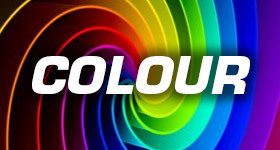 Full colour and monochrome printing & scanning. Up to 5,000 sheet paper capacity. .Choice of 2 FIERY RIPs. Up to SRA3 Paper size. Media up to 256 GSM. 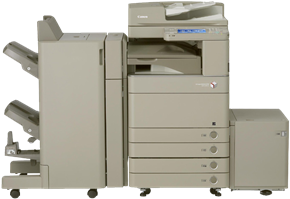 The imageRUNNER ADVANCE C5255i photocopier has a modular design allowing it to be tailored to your specific needs. With total configuration at your fingertips the C5255i is a breeze for I.T. departments to integrate and a joy to use and maintain. Unlike photocopiers of the past, concerns will be over which function to use rather than whether the device is broken down. As with all the imageRUNNER ADVANCE photocopiers from Canon, they are productive and reliable. The C5255i is no exception providing consistent output with easy control. With the optional data encryption kit you can rest assured that every job the device completes remains secure. Even with all these additional features and functionality the device can still stand proud in the environmental stakes with ENERGY STAR qualified status and use of recycled materials in its production. The iR-ADV C5255i GENII printer is suitable for most office environments where consistent quality and multifunction use is required. It will fit just as well in a small business or department serving a couple of users as it would in a large corporate environment where cross-department access and other monitoring and multi purpose use is expected. 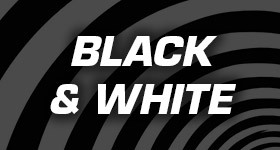 With the optional FIERY RIPs you can produce top quality communications with consistent colour at a fraction of the cost of a production device or litho printing.